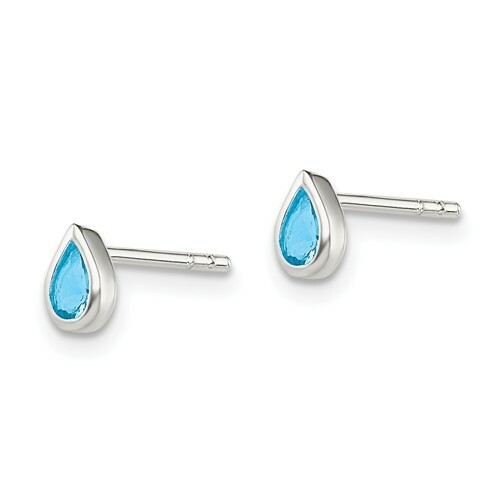 Light blue cubic zirconia teardrop earrings are made of sterling silver. Earrings measure 1/4 inch tall by 1/8 inch wide. Import.